Ridenour’s (Behind the Mask, 2016) second thriller featuring Alexis “Lexie” Montgomery transplants the FBI agent from her New Orleans home to the swamps and mud of South Carolina. Thirty-two-year-old Lexie’s Southern heritage and previous undercover experience working with extremist groups make her the ideal candidate to investigate a case near Pawleys Island that involves the Earth Liberation Front, an international underground organization that sabotages groups that it sees as profiting from environmental destruction. Allegedly, the ELF blew up a work site office owned by Global Resources Inc., a corporation constructing a bridge from the mainland to the pristine Spirit Island, the site of a planned “high-dollar resort.” Dwight Jacobson, the company’s CEO, belongs to a powerful Charleston, South Carolina, family that “no one messes with”—until now. Dwight’s estranged older son, Jeffrey, who goes by “JJ,” is a “hippy” out West; his younger son, Aaron, works “for daddy.” Lexie poses as a nature photographer and befriends Capt. Meade, an old river boatman. When the two spot a seaplane landing on nearby Cat Island, Lexie suspects the locale is being used for criminal activity. Meade tells her it’s an evil place, and Lexie’s cohort, Special Agent Don West, agrees that the island shouldn’t be explored. Ignoring them, Lexie goes there on a boat rented from handsome Logan Burkhart, whose eyes are “the color of molten chocolate.” Unsurprisingly, Lexie meets with danger on Cat Island and, later, on the mainland. 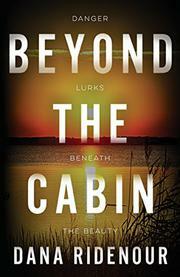 Ridenour gives this thriller a vivid sense of place and a timely topic in eco-terrorism. Much of its authenticity owes itself to the author living near the real-life Pawleys Island and to her previous career as an FBI undercover operative infiltrating criminal organizations, including one comprised of domestic terrorists. Another plus, in addition to the novel’s realistic plot and believable dialogue, is its depiction of an aggressive, dedicated, and charming female protagonist. Tension effectively builds as Lexie’s overconfidence and overly trusting nature backfires, thrusting her into life-threatening situations and trouble with the bureau. An engaging stand-alone thriller but also an intelligent addition to its series.